Remains of coal tipple, now part of the Morden Colliery Historic Provincial Park. Photo by popejon2, Wikimedia Commons. 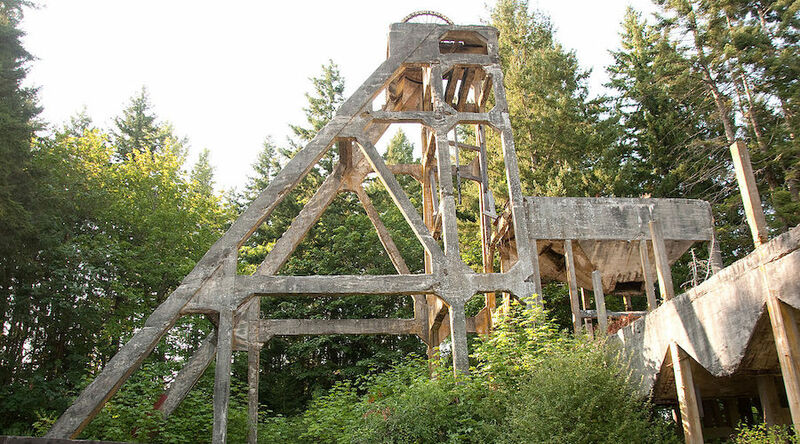 The government of the western Canadian province of British Columbia announced that it will lead the restoration of a 22.5-metre concrete headframe and tipple structure at the site of the historic Morden Colliery coal mine. Located in approximately seven kilometers south of Nanaimo on Vancouver Island, the structure was built in the early 1900s by the Pacific Coal Company and it is one of only two of its kind left in North America. The mine was active between 1914 and 1921. 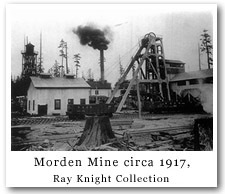 Photo by Friends of Morden Mine.